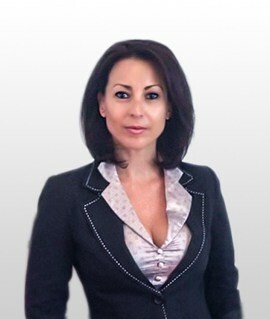 Cristina Hodut provides consulting services and representation for individuals and legal entities, in court and in front of other public and private institutions with 15 years experience in civil law, family law, insolvency law, and criminal law representing people who have been seriously injured. She has often handled cases of personal injury and her caseload includes workplace accidents, road traffic accidents and accidents abroad. She also handles criminal injuries; product liability claims relating to professional negligence and cases involving clinical negligence. She works on many Forex, binary options and other trading litigation matters for Romanian clients as well as for clients across the globe. She speaks Romanian, Italian, English and French. She is of Counsel. She has been a member of the Bucharest Bar Association since 2001, with 15 years experience in civil and corporate law and forex litigation.